Thousands of Rohingya and Bangladeshi refugees are stranded in the Andaman Sea, victims of human trafficking. Countries in the region - Indonesia, Myanmar, Thailand and Malaysia - are unwilling to let them enter their territory. They have been abandoned there by human traffickers. For sometime now there have been reports that many poor people from Myanmar have been taken to places against their will, and they have ended up working in slavery-like conditions. 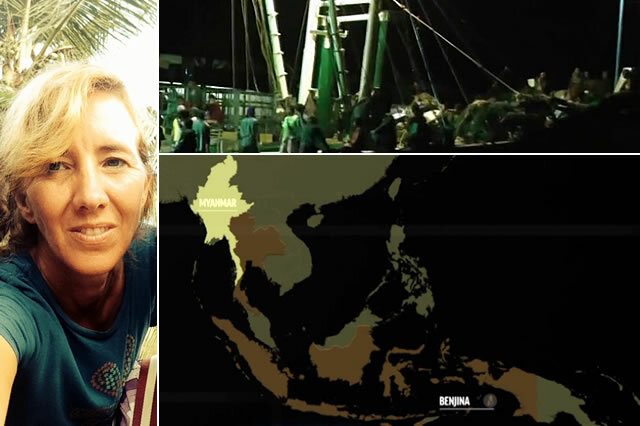 Two journalists at the Associated Press, Robin McDowell and Margie Mason, have thrown light on the fishing industry in the region (which appears to thrive on human trafficking) and the rescue efforts that followed. IHRB's Salil Tripathi spoke on the phone with Robin McDowell who is based in Yangon, and in their conversation she mentioned how they painstakingly researched and reported the story, and how the solution to the problem may be in the hands of consumers. McDowell has been a reporter in Southeast Asia for more than two decades. She has reported the final days of the Khmer Rouge in Cambodia in the 1990s and set up the editing desk for Associated Press in Thailand. She has been a reporter in Indonesia and has now opened AP's bureau in Myanmar.